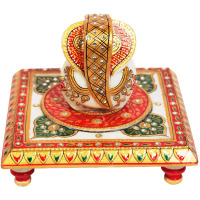 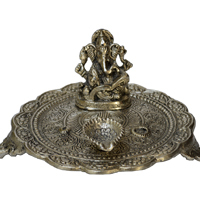 The beautifully designed statue of Lord Ganesh placed on a circular chowki adorned with magnificent self carved patterns will surely add to the religious fervour Read More..of your household. 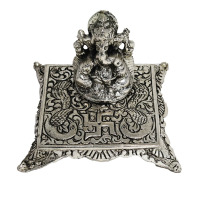 Made from oxidized silver, this awe-inspiring metal Ganesh chowki set a perfect gift item for all kinds of religious and formal occasions. 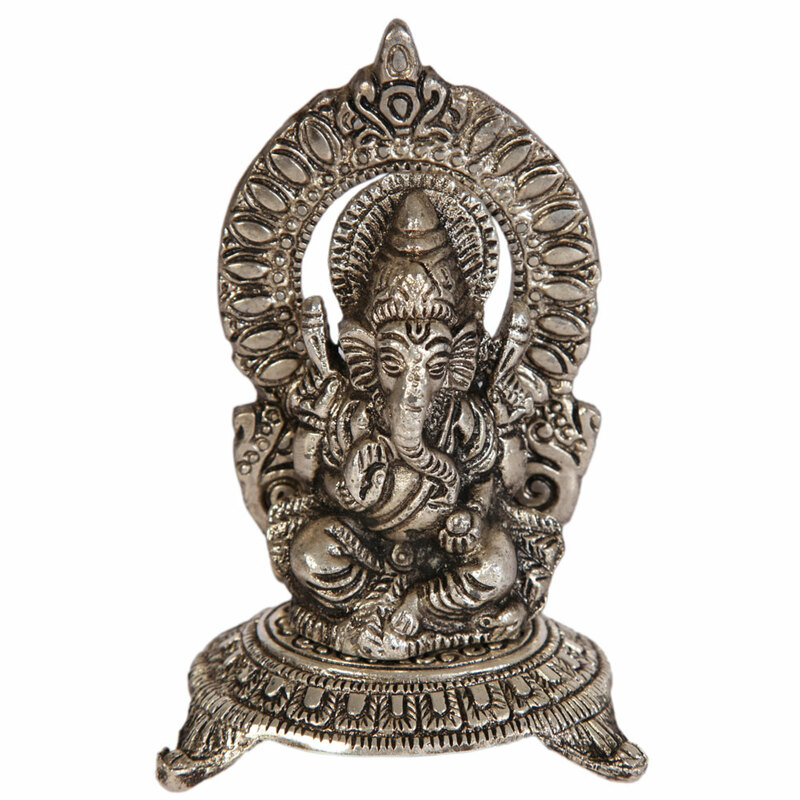 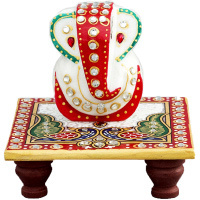 Show Less..
Decorate your home and bring good luck with this marble ganesh idol. 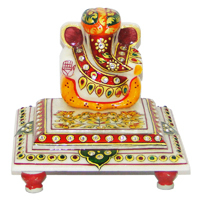 The bright colors and the right placement of beads make this Ganesh chowki set a perfect gift item for religious occasions.